Are Residents Vaping in Your Fortuna Rental Property? Should You Allow Residents to Vape in Your Fortuna Rental Property? Cigarette smoke is one of the most damaging things to a rental home’s interior. This explains why many Fortuna property owners include a clause in their lease documents that prohibit smoking inside or anywhere on the property of their rental homes. The question then arises: What about vaping? In the past few years, there has been a sharp increase of people that use e-cigarettes as a substitute for smoking tobacco. Many people view vaping as a safe recreational activity that’s generally considered to be less harmful to a person’s health than smoking. This is a reason why vaping is often used as a means to quit the smoking habit. Despite the reputation it has, vaping isn’t actually as harmless as people believe it to be. There are clouds of vapor that come from the use of vaping devices such as e-cigarettes. These leave a filmy residue on anything they touch, from walls to floors to furniture. If you think about it, vapor can travel wherever air can inside a home including inside air vents and ductwork. There is a slew of problems that this could cause and it could go undetected for years. The explanation why vapor causes so much trouble is because it’s not water, but glycerin. It may look like water vapor but the difference is that it doesn’t simply evaporate into the air. Actually, it is slightly oily. The emission from an e-cigarette more closely resembles aerosol gas than water vapor. It holds particles that are formed out of chemicals, flavoring, and preservatives. When these particles come in contact with a surface, they cling to it. After some time, as these particles build up, they create a thick film that is difficult— and expensive— to get rid of. While film build up can be relatively easily wiped down when it’s on hard surfaces like windows and mirrors, the same can’t be said when it’s on other surfaces like carpets, painted surfaces, and ductwork. Removing the filmy residue that vaping leaves on surfaces like these is a waste of both time and money and it may even permanently damage some items. For example, the particles of vapor aren’t water soluble, so that means fabrics and carpets may need to be professionally cleaned multiple times a year. Painted walls pose another challenge. Paint is porous and vapor particles could easily get into the pores and settle there. Textured walls are worse. The more textured your walls are the faster the sticky film sticks to it. To get rid of the film, you would need to scrub it frequently, but doing that also damages the paint. 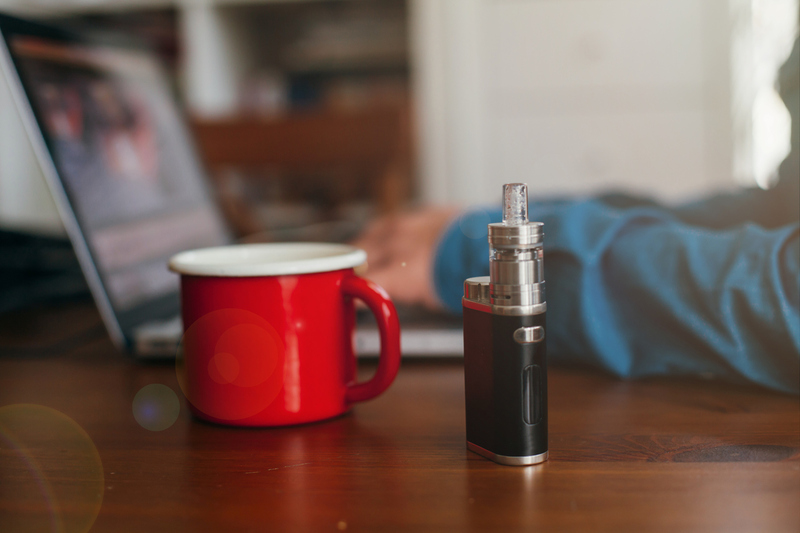 With so much potential to damage the interiors of your Fortuna rental home, prohibiting the use of e-cigarettes along with other forms of smoking just makes sense. At Real Property Management Humboldt, we carry out frequent property evaluations to check for signs of vaping inside your rental homes. Our expert property managers keep a close eye on your properties, ensuring better lease compliance and protecting the value of your investment. For more information, contact us online or call us directly at 707-444-3835.